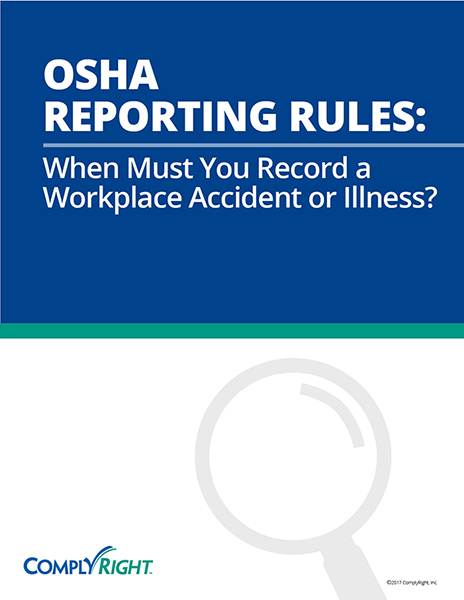 OSHA requires employers to conduct job hazard analyses, which are written descriptions of job tasks, potential hazards, and preventive methods to avoid injuries or illness. You can be fined for not doing them. Job hazard analyses can also help you to avoid further fines by bringing attention to any gaps in your workplace safety program, which will also keep your employees uninjured and healthy. They can also serve as training materials for new employees or for jobs only done infrequently. Your employees, who are doing their jobs on a daily basis, probably have a better understanding of any potential hazards than you do. Consult with them about any safety concerns regarding their tools, duties, or worksite. If an employee points out a problem that can be corrected easily and quickly, take their advice and fix it then. Don’t wait until you complete all of your analyses. If your business has had any previous accidents or injuries, these can help pinpoint where you should begin your job hazard analyses. Look for any recurring trends, such as in the nature of the injuries, the exact duty being performed at the time, or any tools or equipment involved. Any jobs that could possibly cause serious injuries or fatalities, have poor safety history, or had numerous concerns raised by employees should be analyzed first. The more dangerous the job, the sooner you need to evaluate it. Before observing any employees, make sure they know you’re evaluating the job, not their performance. It’s important that you watch the job being performed under normal circumstances. For example, if a job is normally done at night using one machine, you shouldn’t ask for a demonstration during daylight hours with another machine instead. Write down every action or step in the job. If the job is carrying a 70lb box from one building to another, then your employee must lift the box, carry the box 100 feet, and then put the box down. Each action is a separate step. While watching your employee, take note of any possible dangers the employee may face during each component of the task, not the task as a whole. Consider the tools or equipment used, the environment, or any other factors that could create a hazardous scenario. Using the same job from above, your employee may face injuries from lifting the box, from slipping on a wet sidewalk while carrying the box, or from dropping the box on his or her foot when putting it back down. Show the employee your list of tasks and hazards to ensure you didn’t miss anything along the way. Again, ask your employee for input on any other hazards or preventive measures. Prevention methods should be specific, not general advice. Instead of saying, “Use caution,” you should say, “Check sidewalk conditions before starting, making sure to take note of any puddles or obstacles.” You may need to add equipment, such as steel-toed boots, to improve job safety. Other preventive measures include eliminating the hazard altogether, containing the hazard, revising work procedures, or reducing exposure to the hazard. Whatever method you choose, write it down and make any necessary changes. Job hazard analyses can help you to avoid further fines by bringing attention to any gaps in your workplace safety program, which will also keep your employees uninjured and healthy. Many states have their own OSHA-approved health and safety programs, so make sure you’re compliant with those standards as well. Some industries may also have their own set of guidelines to follow, too. If this seems too daunting, or if your employees have to handle a lot of complex equipment and processes, you can hire professionals to conduct your job hazard analyses. OSHA offers free consultation assistance for small employers (fewer than 250 employees at a fixed site and no more than 500 corporatewide), or there are many private consultants with health and safety expertise. Your insurance company may also be able to offer some advice or assistance. You should remain involved in the creation of each analysis to better understand potential hazards and preventive measures recommended in your worksite. Job hazard analyses need to be updated whenever there’s a change in the task, whether it’s being performed in a new location, with new equipment, or under new procedures. If any accidents occur, you should revisit your job hazard analysis for that particular job to see if any updates or changes need to be made. Encourage your employees to come to you if they notice any other potential hazards or have suggestions for preventive methods.